If you would like to have your car seat checked, contact the Sheriff’s Department to schedule an appointment. When scheduling, please have readily available the following information: Child’s height, weight, age, special needs if applicable, as well as your vehicle’s make, model and year. 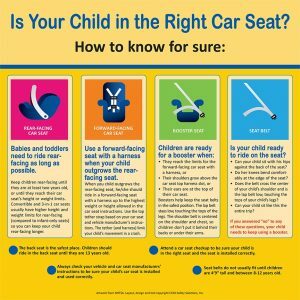 For more information on finding the proper car seat for your child, please see www.beseatsmart.org . To stay up to date with car seat recalls, please visit http://www.buckleupnc.org/car-seat-recall-list/ and click “Download the Current HSRC Recall List”. For Directions to the Sheriff’s Department, visit the Contact Us page.